Pakistan after independence was a strange creation: the capital, Islamabad, and most of the power were located in the west while the rest of the country was located far out east, separated by another – and often hostile – country. 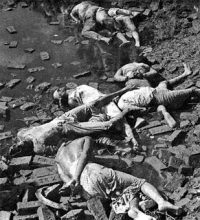 The Bengalis were poorly treated and scorned by the Pakistanis; in March 1971, the nationalist Awami League won election but the results were ignored by the ruling West Pakistani establishment. 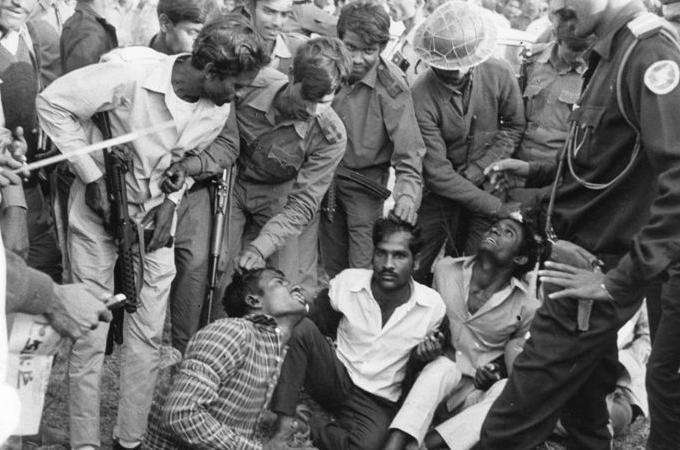 Days later, the Pakistani military launched an offensive against Bengalis, which later led to widespread atrocities. The war lasted over nine months, forced 10 million to flee the country and caused the displacement of another 30 million people. India entered the war in December, which quickly led to Pakistan’s capitulation and the creation of Bangladesh. “Our government has failed to denounce the suppression of democracy. Our government has failed to denounce atrocities. Our government has failed to take forceful measures to protect its citizens while at the same time bending over backwards to placate the West Pak[istan] dominated government and to lessen any deservedly negative international public relations impact against them. Our government has evidenced what many will consider moral bankruptcy…. When Blood died in 2004 at his home in Colorado, Knight-Ridder Press wrote “There was family, a few old friends and an entire nation to mourn his passing, but the nation that grieved for him was not his own. It was Bangladesh.” His death made headlines in Bangladesh, but was lucky to make it to the back pages of the obituary sections in American newspapers. Bangladesh sent a delegation to the funeral in Fort Collins and Mrs. 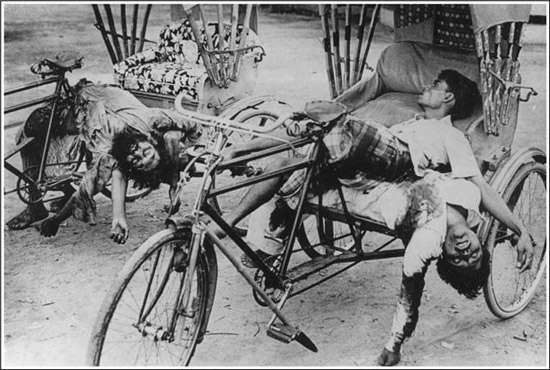 Blood received numerous communiques from Bangladeshis. In December 2005, the American Center Library at U.S. Embassy Dhaka was dedicated in honor of Archer K. Blood. 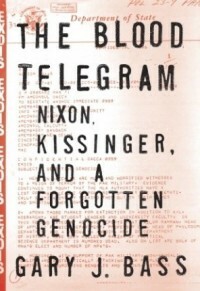 In these excerpts from his oral history, Archer Blood discusses the increasing tensions between West and East Pakistan, the persecution of Hindus by Pakistani soldiers, and the outrage that led the Consulate to draft the now famous Blood Telegram. He was interviewed by Henry Precht in 1989. You can read about Ann Wright’s 2003 resignation from the Foreign Service over her disagreement with Iraq and about Ambassador John Evans, who was forced into early retirement over disagreement on the Armenian Genocide. You can also read Ambassador Princeton Lyman’s April 2015 speech on responding to mass atrocities and Prudence Bushnell’s perspective on the Rwandan genocide. BLOOD: President Yahya’s plan to move Pakistan away from martial law and back to a parliamentary democracy involving elections in both wings was, of course, the major issue and the excitement of the time and made for a great deal of very interesting political work. The resentments of economic discrimination had more time to simmer, more time to surface. For another, the Bengalis were more politically organized. The Awami League had become clearly the dominant Bengali political organization, well led, very active. The 1965 war between Pakistan and India over Kashmir had further divided the two wings because… the people of East Pakistan weren’t very appreciative of taking risk to secure gains in Kashmir. And, of course, everybody knew that the country was in for political transformation from military to civilian rule which made for a lot of opportunities. Of course, there were negotiations between Mujib [Sheikh Mujibur Rahman, head of the Awami League] and [former foreign minister and then leader of the opposition PPP Zulfikar Ali] Bhutto and Yahya which weren’t getting anywhere. The National Assembly elected in December was scheduled to be convened March 3rd. 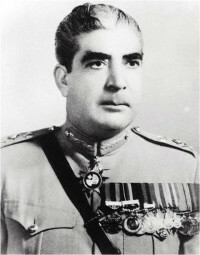 On March 1st, President Yahya, yielding to pressure from Bhutto, announced the indefinite postponement of the convening of the National Assembly. I think this was the key event that started the chain of events that led to the Indo-Pak war. When we heard over the radio the announcement of the postponement, we went up on the roof of Adamji Court, which was the building that houses the Consulate General, and we could see Bengalis pouring out of office buildings all around that neighborhood — angry as hornets. They were just like a spontaneous demonstration of wrath because they had believed Yahya. He would hold elections, they would run the elections, and now they were being denied the fruits of victory. But it was the beginning. And the embassy being so far away from it could not really, I think, accurately evaluate the anger in East Pakistan. And then that’s when sort of the, you might say, revolt began in which the Awami League in effect took over the government of East Pakistan and began to act as if they were the government. The army sort of stuck to its barracks clearly building towards a crisis…. The people that we had known, the Governor and the General Officer Commanding, had been withdrawn. We found out later because they had objected to the idea of a military crackdown…. We still had contacts with the Awami League. From them, we had the impression that it was just like a roller coaster. I mean, for a moment, they looked optimistic, then pessimistic, then looked optimistic again. But then suddenly on the afternoon of the 25th, Yahya broke off the talks, and he and Bhutto flew back to the West wing. And then that night, the military moved in their brutal crackdown. Q: Was there substantial violence beforehand? BLOOD: No, it was later claimed…the Bengalis had torn down Pakistani flags that they had seen. Some of the bazaars had refused to sell supplies to the Pakistan Army. But there had been very little violence. 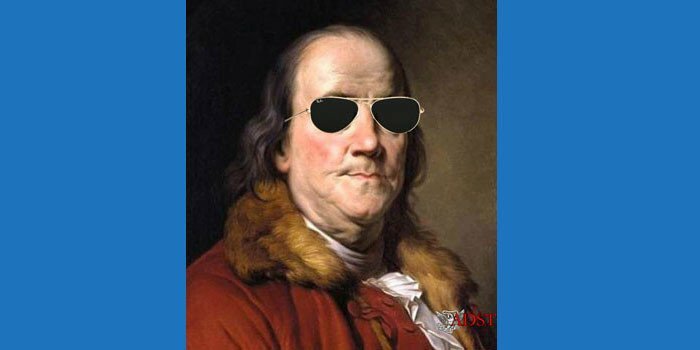 One case, an American secretary had been accosted by some Bengalis. She reported it to me. I called the Awami League, and they said, “We will take care of it. You will have no more problems on this score.” And we didn’t. They were the de facto government. So we were dealing with them in that period from about March 5 to March 25, a very short period before the crackdown…. I didn’t think the Pak military would crackdown. We were aware, of course, they were reinforcing their garrisons in East Pakistan because we went to the airport and we would see these PIA [Pakistan International Airlines] planes arrive full of young men in khaki slacks and white shirts, all about the same age, who would be marched off the plane into trucks. We knew that they were soldiers. But it just seemed to us that a military crackdown would end up by precipitating the separation of the wings, as it did. I mean, it was a desperate action. I think a lot of Pak military though genuinely believed they could cow the Bengalis. Very many of them had a very arrogant attitude toward the Bengalis whom they thought as artistic and non-martial and cowardly and people who could never stand up to tough measures…. They deliberately set out first to destroy any Bengali units in Dacca which might have a military capability. These included what was called the East Pakistan Rifles who were officered by West Pakistanis but had Bengali troops. They were sort of a paramilitary organization that was charged with border security and the police. And so they just attacked their barracks and killed all of them that they could. They were unprovoked attacks. They also attacked the university, Dacca University, because the students had been active in this period, you know, with demonstrations. They machine-gunned, I guess used mortars too, against the dormitories and killed a large number of students. They brought up tanks before the building that housed the major Awami League newspaper and blew it up. They attacked the bazaars that had denied food to the troops and destroyed them. They went to the university and murdered Hindu professors. One of them I knew particularly was an elderly man, philosopher, who didn’t have a political bone in his body. I think he was killed solely because he was a Hindu. 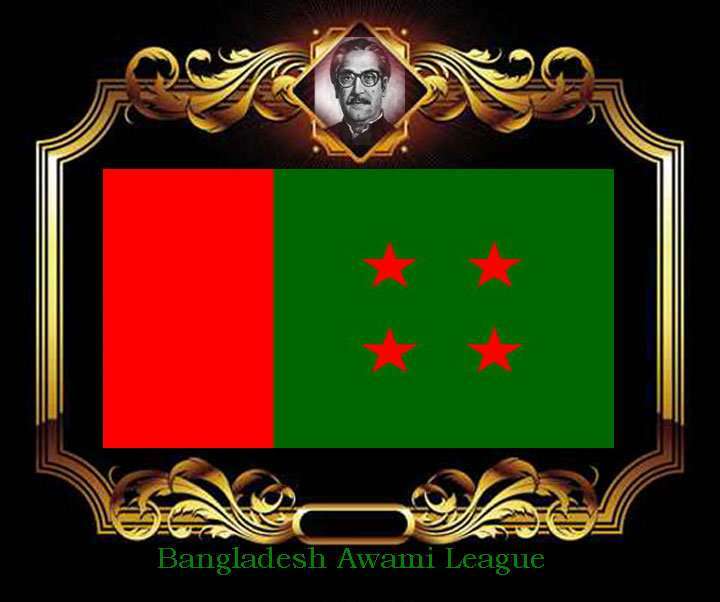 [The leaders of the Awami League] were arrested, if they could find them, like Mujib. The others went into hiding. A lot of them did escape…. There was a curfew. We were not allowed to move about for, I think, about thirty-six hours. We went up on the roof, though, that night, and we could watch, we could see, the battles raging. You could see the tracers and hear the tanks firing, machine guns. You could see those things. Then the telephone lines were all cut. I found out later that the Pakistanis had cut those to prevent communications with resistance although they blamed the Awami League for cutting phone lines. We were out of telephone communications. Luckily, we had radio communications with the office and with our homes. We were pretty much out of touch with our own embassy for about at least three weeks. They wouldn’t allow anybody from the embassy over. And see there were no telephones. We had cables. That was it. And then toward the end of the three weeks, they allowed me to call the Ambassador on a military phone on which I could speak to him. We were in cablecom communications, but they weren’t allowed to get over there. Luckily, we had the air attaché from the embassy who had been there before the crackdown. I had asked for him to come over. And he was very, very helpful because we were, in effect, reporting war from March 25th on, a civil war. He was the only American military person there. The British also had the foresight to get one of theirs over in time, too, so we could have some competent military advice in reporting the struggle…. Q: How did the embassy react to this? BLOOD: With disbelief. They, of course, were being told by the government of Pakistan that nothing much had happened. And this attitude of disbelief began to show up in their comments and their messages which was very depressing. I mean, people like the DCM [Deputy Chief of Mission], Sid Sober, who had entered the Service with me were close friends and still are. I remember when he came over. I guess he was the first one over before the Ambassador in late April when the government of Pakistan lifted the ban and after we had…evacuated women, children, and nonessential dependents. And you could see that he just didn’t believe it because a couple of Bengalis told him really nothing had happened…. It took about two weeks before the Pak Army managed to defeat and drive out — at least across the border into India — most of the organized resistance to them. But what had happened then was, of course, a guerrilla-type resistance grew up and spread. Of course, now came the question of the evacuation… I had decided against evacuation for two reasons primarily. One was I knew with the Awami League in control that Americans were not in danger. Americans were very highly thought of. Nobody felt any sense of personal danger. Also, I felt that if we pull out, it would signal we sort of accepted the inevitability of a civil war and a conflict. If we stayed, then it was sort of evidence that we thought there was still some chance for a settlement. It’s a very awesome responsibility because you have to make judgments — I was under no pressure from the American community to pull out. The Ambassador, who was undergoing some medical treatment in Thailand, sent me a message saying, “My only advice to you is err on the side of caution.” I wasn’t quite sure what that meant. But then after the military crackdown, the situation changed drastically. 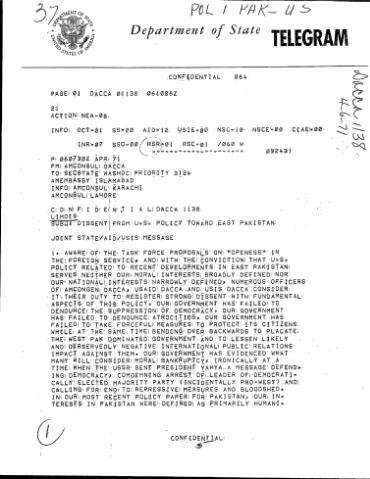 Now Washington found it hard to believe that Americans could be in danger once the Pak military was in control. But we were. There were several instances where Americans had been threatened at gunpoint by soldiers and told that they were going to be killed immediately. On several occasions, the Pakistani soldiers would leave the barracks in the evening and rob American houses. In one case, they took the watch off an American wife at gunpoint. In another case, an American confessed to me that he had actually killed a Pakistani soldier who had tried to kill him and had buried the body. It was beginning…. We were also harboring — all of us were harboring — Bengalis, mostly Hindu Bengalis, who were trying to flee mostly by taking refuge with our own servants. Our servants would give them refuge. All of us were doing this. I had a message from Washington saying that they had heard we were doing this and to knock it off. I told them we were doing it and would continue to do it. We could not turn these people away. They were not political refugees. They were just poor, very low-class people, mostly Hindus, who were very much afraid that they would be killed solely because they were Hindu. So this was another danger. I don’t think if I had ordered the community to stop that they would have stopped. It was just a humanitarian gesture that really was essential. It was really a humanitarian gesture that was being undertaken by our own servants out of humanity to fellow Bengalis. Anyhow, so I decided to recommend to Washington that we evacuate. I had, of course, pointed out that we knew full well that an evacuation by us now would be taken amiss by the government of Pakistan because they were claiming that everything was peaceful. So if the Americans evacuate, obviously we didn’t think they were peaceful. But I said I think that the safety of the American community overrides that consideration. They finally agreed to the evacuation, but the government of Pakistan insisted that we fly from Dacca to Karachi and use PIA planes. The same planes that were bringing over military reinforcements then could be used to evacuate our people on the round trip. This was upsetting because the evacuation plan, which had been worked out before, was for U.S. Air Force planes from Thailand to take us to Bangkok which is only two hours away and a similar climate and a place to which we could get to visit our families more readily. Washington agreed to the Pakistan demand. So our wives, children, and nonessential employees had to fly from Dacca to Sri Lanka to Karachi, which is the same length of time as going from New York to London. They were being flown by crews which were absolutely exhausted because they were ferrying troops back and forth. The government of Pakistan was, I guess, apprehensive that some of our people would leave the plane in Sri Lanka so they insisted on picking up their passports from them as they boarded the plane to be returned only in Karachi. Washington agreed to say we should describe it as a “thinning out,” not as an evacuation. Of course, it was an evacuation. And if they went out in so called commercial PIA flights, it wouldn’t look as strong an action as if the U.S. Air Force came and picked them up and took them out. But I could sense, you know, from Washington’s reaction that they weren’t too happy with this decision to evacuate. I also knew, as the person on the spot who says evacuate, and if they overrule me and something should ever happen, they [would blame me]…. Our people wanted to go. They were desperate to go mostly because they were very angry. They were angry against our government… See, the Washington attitude had been there was nothing going on there. These people had seen all this happening. They were angry at the U.S. government’s failure to denounce the atrocities. I mention that too frankly. I know that some of these people when they get back, they are going to go to Congressmen and the press, and they are going to complain. But you can’t muzzle that. You can’t keep them here. I mean, they can go out commercially if they want to. And it’s bound to come out sooner or later. The…foreign press had been trundled up and expelled….There were a couple [of American reporters], one of whom came in surreptitiously over the border, one who escaped hiding. We hid him. We hid him in our house so they could keep reporting…. Q: Did you send their reports out, too? BLOOD: Yes. Also, we were–in fact, I never read so many other people’s mail as at that time because in this period of evacuation, the commercial wireless was also cut. So we had our own communications, of course, the consul general. We weren’t relying on Pakistan facilities. But other smaller officers didn’t. So the Japanese and Nepalese and others, when they organized their own evacuation, they did it through us. We would send, say, a message to Kathmandu at our embassy which then relayed it to the Nepalese government who would then come back through us. I would give the message to the Nepalese consul general. Same with the Japanese. Later on when the Canadian high commissioner came over, of course they had no facilities, so we transmitted their — Washington okayed this — transmitted their reports and so forth. Q: As we know, you and your colleagues at the post became seriously at odds with people in Washington. BLOOD: Well, you have to remember that it was really Nixon and Kissinger and their people against the bureaucracy, as we found out later. I was a real part of the bureaucracy. We discovered when we went back to Washington virtually everybody in the State Department felt the same way we did. We didn’t know that in the field. You know, you know how instructions come out of the Department, you don’t know usually who is writing them. I really was not aware until I came back that our position had had such strong support at least among the working levels in NEA [Near Eastern Affairs Bureau] and elsewhere in the government…. It would be right after March 25th when we began to report the crackdown. I will admit we did it very bluntly. We didn’t disguise it in diplomatic niceties. We talked about, you know, 5,000 people probably being slaughtered that night. Things like that. We also had evidence. Of course, I mean, I never saw anybody murdered myself, but we had Catholic priests out in the countryside who . . . when Hindu villages were machine-gunned by the Pakistan Army, these people would flee to the Catholic mission for sanctuary. We sent American doctors up there to treat their wounds. Actually, we didn’t send them; they went up there on their own. So these were American eyewitness reports of atrocities which we were reporting…. The dissent message was drafted by twelve or thirteen people on my staff. I did not draft it. They came to me and said we want to send this statement, we are so upset with the U.S. failure to denounce the atrocities. They were all key people in AID [Agency for International Development], USIA [U.S. Information Agency]. My own deputy didn’t, but he was a weak officer. I think he decided he was too scared or something. But everybody whose opinion I respected had participated. So I decided to send it, and I transmitted it. But I transmitted it along with a strong supportive statement. I said, “I had not personally drafted this. It was presented to me. But these are my best officers. I believe in what they are saying. I accord with their sentiments completely,” and sent it off. Q: Henry Kissinger said you sent it at such a low classification, it was sure to leak. BLOOD: Yes, that’s not true. I should have sent it up. Secret LIMDIS [limited distribution] was the highest thing we were used to using. Now there is EXDIS that at the time was higher. EXDIS, eyes only, I should have done that. Now I recognize that. But at the time, I used the highest classification that we were accustomed to using. There certainly was no intention, that’s not true. That’s just his supposition, but I can assure you that’s not true. Any of it. We sent it to the embassy and to Washington and the other posts in Pakistan. Of course, the embassy immediately grabbed it away from the other posts…. Then we knew it had leaked [to the press]. And then I — I don’t know, maybe about a couple weeks later — I’m trying to think how I got the word I ought to ask for a transfer…. I left in June. Q: And when you came back to Washington, what kind of reception did you find? Howie Schaffer called me up to tell me that I had won the [Christian] Herter Award [for Dissent] and please come back to Washington to receive it. I guess it was only then that I really feel, you know, that my peers at least applauded the action…. I got a copy of my efficiency report which Sid Sober had written in which he had said a couple things which I took strong issue with it. One was that I had in fact encouraged the American community to be critical of the U.S. government’s handling of the situation. Of course, that is not true. I said that it was a genuine feeling that everybody felt, and I didn’t have to encourage it. I didn’t do anything to encourage it. I shared it, but I didn’t encourage it. And a couple other things like that…. 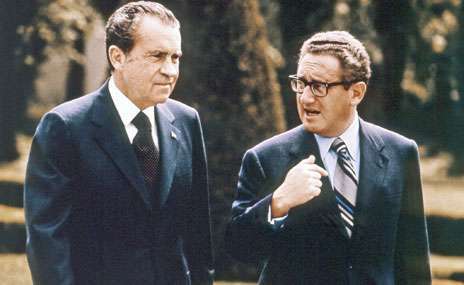 Q: But you didn’t see Kissinger, I’m sure. Q: What could have been done at what stage to make that division less violent, less traumatic, for the region? Could it have been avoided? Could there have been a peaceful splitting of the two Pakistans? BLOOD: I don’t see how we could have intervened effectively in the negotiations beforehand. I mean, there is an election. People are trying to decide how to handle the results of an election…. What we could have done is, I think, we could have cracked down. I mean, we could have expressed our unhappiness and dismay with the Pakistani military crackdown on March 25th and told them in no uncertain terms that this is a sure way of spelling the death of a united Pakistan. BLOOD: Yes, yes. And sometimes that’s the best thing to do. I mean, more often than not, it’s the best thing to do because you do pay a penalty for it. We paid a penalty for it. We paid a penalty for it certainly in our relations with India. I mean, we got more and more involved on the losing side of a conflict. The only valid reason is to protect the opening to China. And, of course, none of us knew anything about that.